When you subscribe to, rate and review Harder to Kill Radio in iTunes, you’re playing an extremely important role in helping others like you find the show. Simply put, with your support, Harder to Kill Radio can reach more people. Not too shabby! 1. Navigate to the show’s page on iTunes by going to https://www.stephgaudreau.com/review. 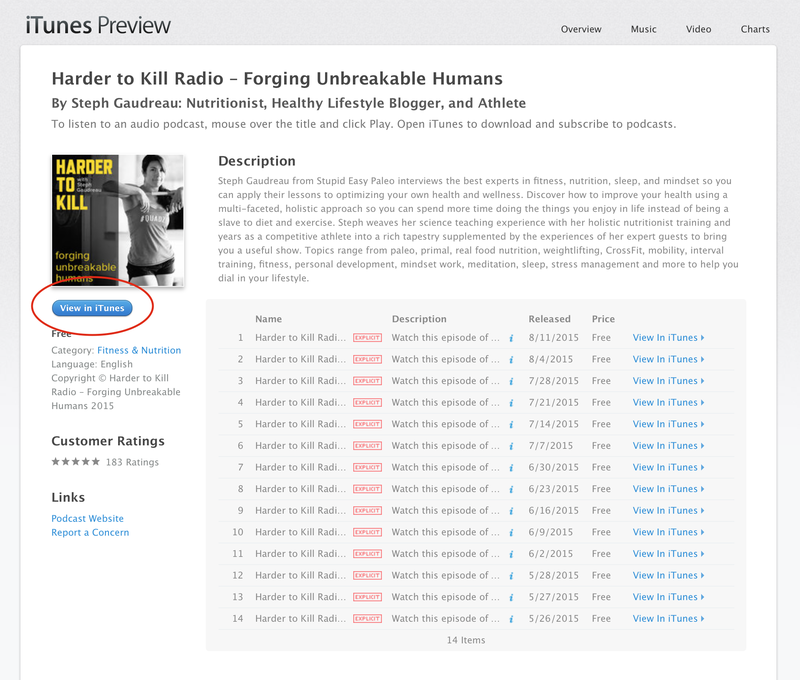 Or, in the iTunes store, type “Harder to Kill Radio” into the search to go directly to the show page. Skip step 2. 2. Click the blue button View in iTunes. 3. Click the Subscribe button underneath the show art. 4. Click Subscribe in the pop up box. 2. Click the blue button to View in iTunes. 3. Underneath the show title, click on Ratings and Reviews. 4. Click the number of stars to Rate. 5. Click Write a Review under Customer Reviews to leave your own thoughts. Thanks for being so frickin’ awesome and supporting Harder to Kill Radio!